It is not the world where you belong to a royal dynasty, where you will be given a hereditary title and where things will fall themselves into your golden platter. It is the era when you have to get up from your bed, walk miles and miles to get the job and then do it effortlessly without staring at the wall clock. The more one does his job with aggression and passion, the better outcome he will get. Always have a sportsman’s spirit in yourself, because you are your own shadow. Rise up, buck yourself up, encourage yourself, have faith in your potentials and have the guts to prove yourself by all legit means. It is not the time when you sit on the soft couch and won’t work. One day or the other you have to get up, do the degree, find the job and earn your livelihood. Because a family to feed, kids to raise, and to fill the bellies it is cardinal aspect for the survival. So better work it up before there is nothing left other than remorse. Before seeking a good job, one always needs a resume at hand in which all your credentials, education, potentials, hobbies, your entire bio data, your experiences, certification, co-curricular activities and hence all ‘its and bits’ about you are mentioned briefly. Although a CV is only a piece of paper but it holds a great value and importance that can make you get into a good firm/business/job place. 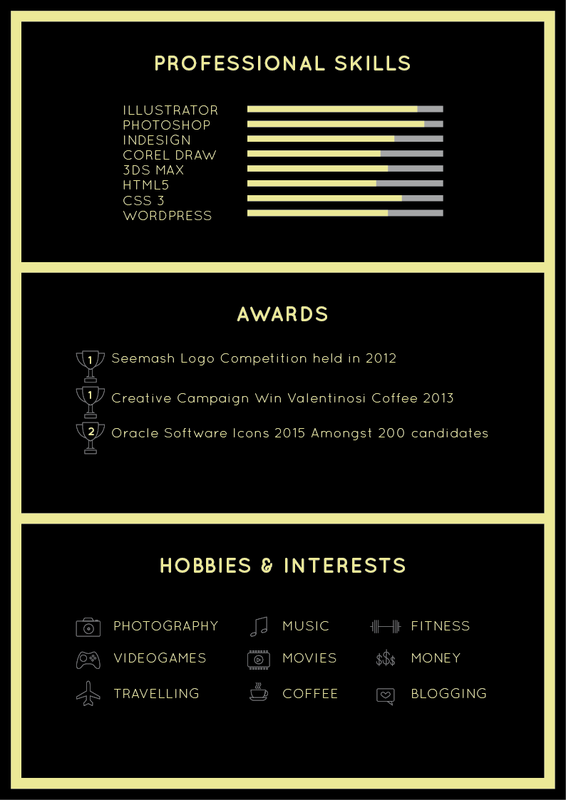 Make sure you put forward a beautifully made resume that leaves a good impression on the employer. 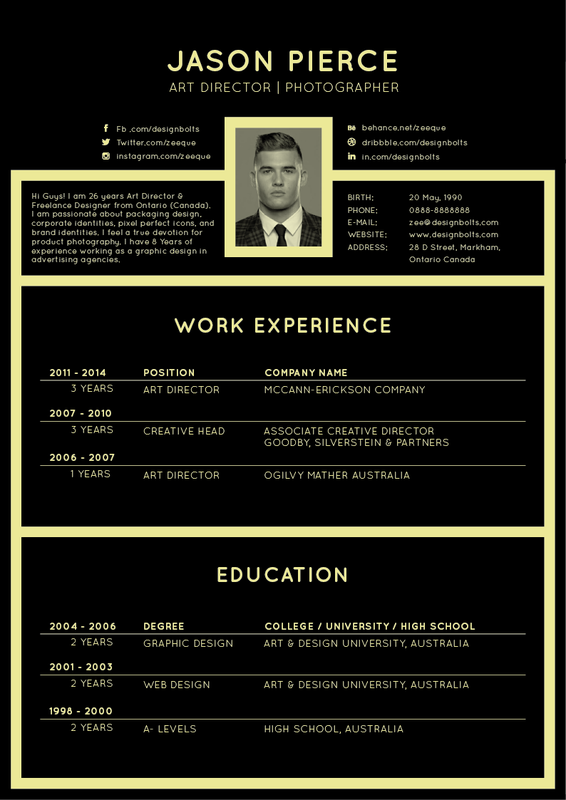 Today I am presenting before you free professional resume design template for all job seekers. You can put your own work materials and info, and drop it straight to the destination workplace. I am sure it will show your stance, professionalism and maturity of work. Stick around for more art and design posts, we try our level hard to unleash freebies for you all and by the time you leave us with your feedback we get to know what more should we be presenting before you. So take a look. Here we go!